An underfoot insert of nylon mohair takes the place of a typical mechanical waxless base or the need for kick wax. 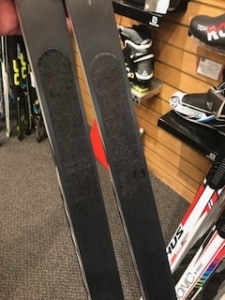 Similar to climbing skins used by backcountry skier the plush of the insert is directional with the hairs of the plush lift or grip when you kick and lay flat while gliding. 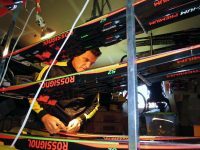 An added benefit of the mohair is that unlike fischscale bases it’s quiet while skiing. 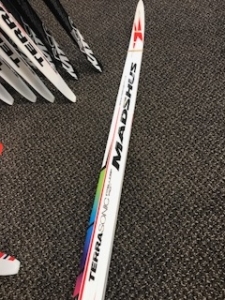 Fishscales often create chatter especially on icy snow whereas the the soft mohair is silent.
. Madshus, the worlds oldest cross country ski company, created an affordable performance skis with the new mohair technology – the Madshus Terrasonic IGS. 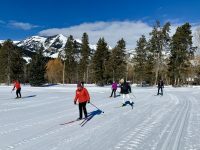 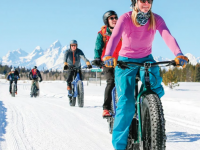 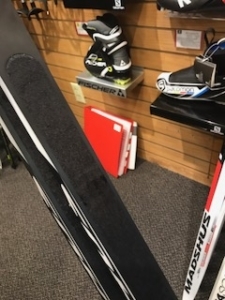 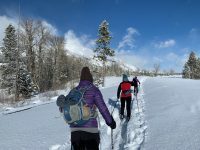 This is the perfect quiver ski for tricky wax conditions or a one-and-only ski for skiers that would rather not bother with kick wax but still want a lively performance ski to use at Teton Pines or on any of the groomed pathways.